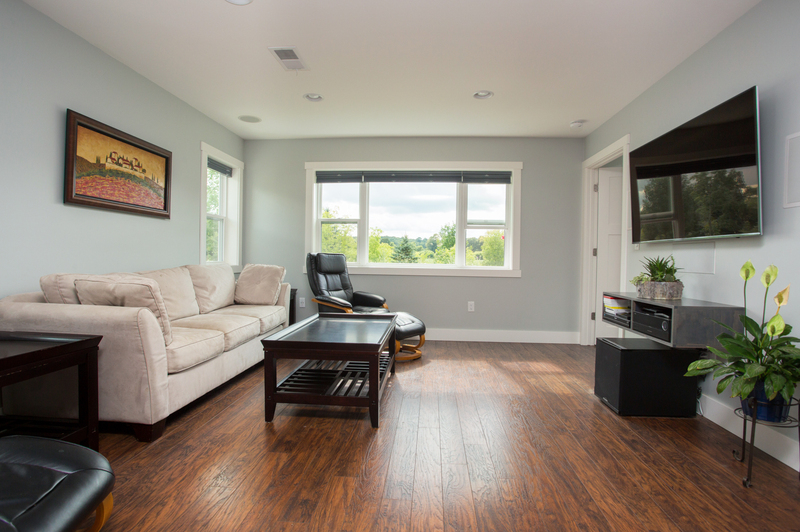 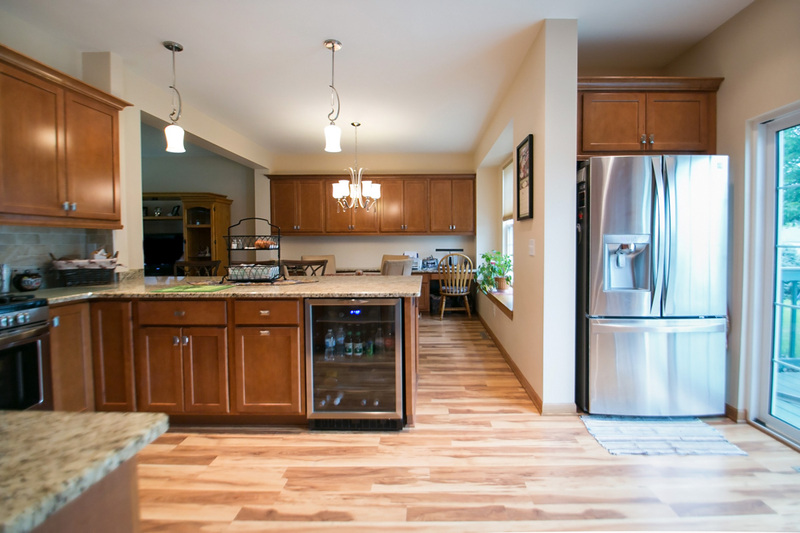 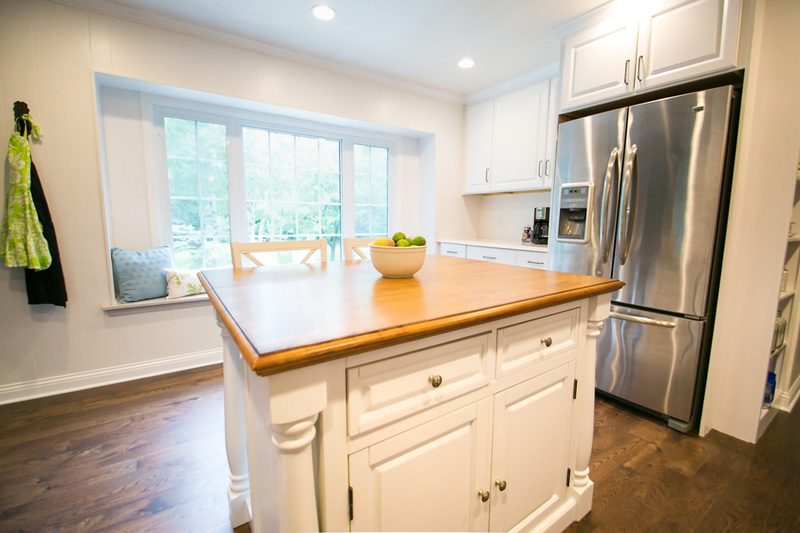 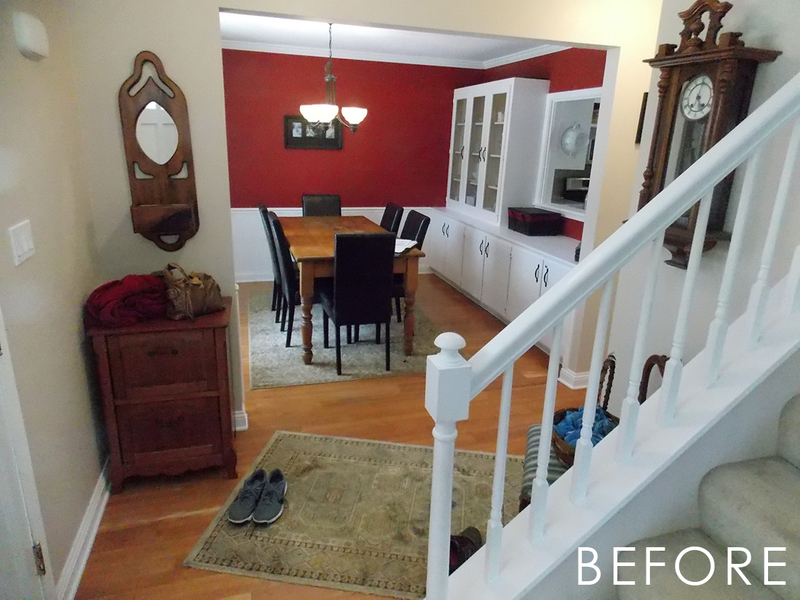 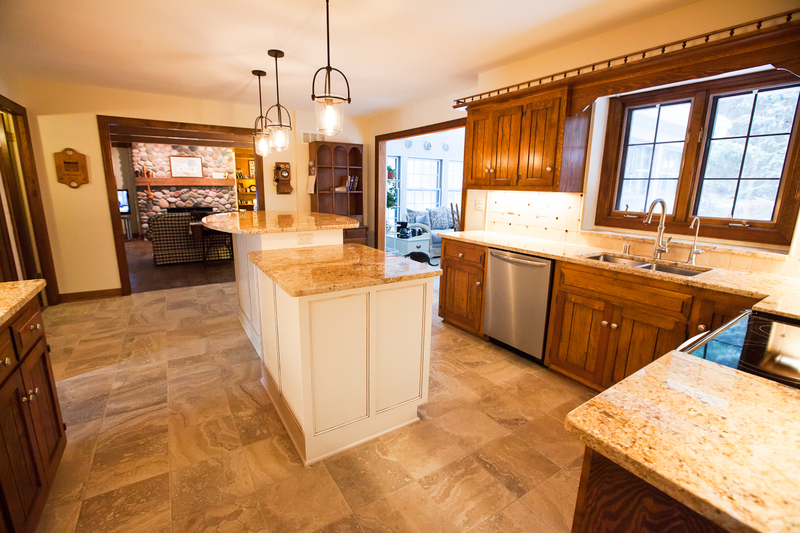 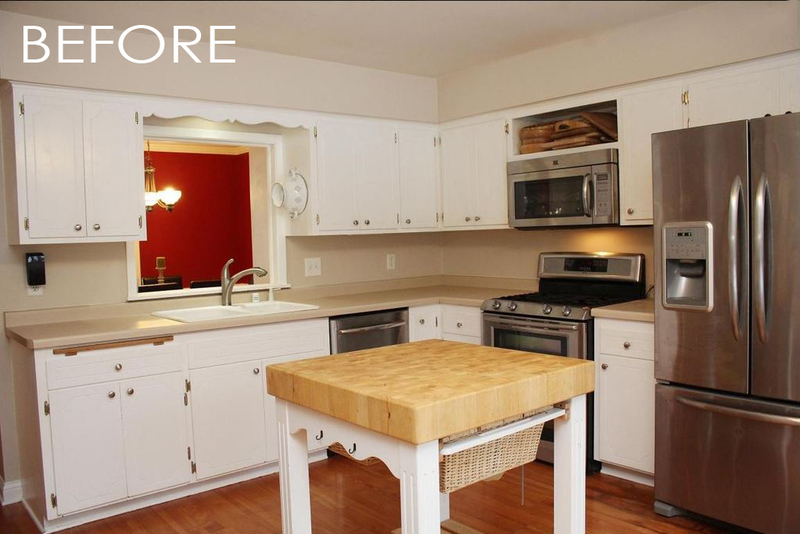 Our customer, a family of four, moved here from Georgia, but previous to the move entrusted us to complete their kitchen remodel while overseeing other trades, such as new carpet and new hardwood floor installations. 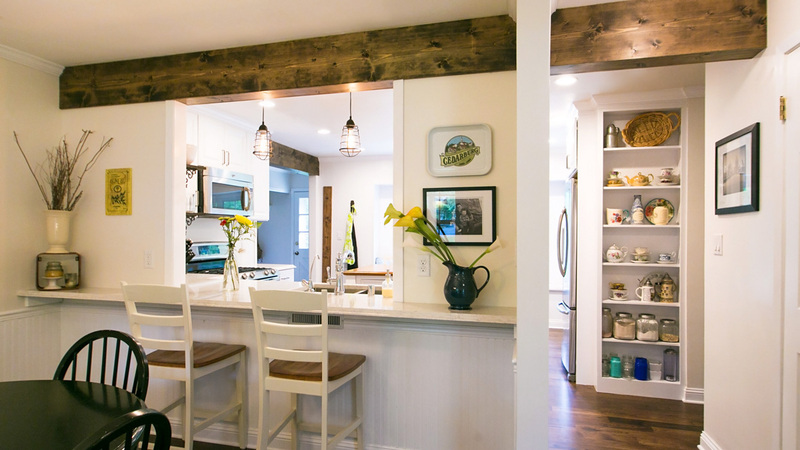 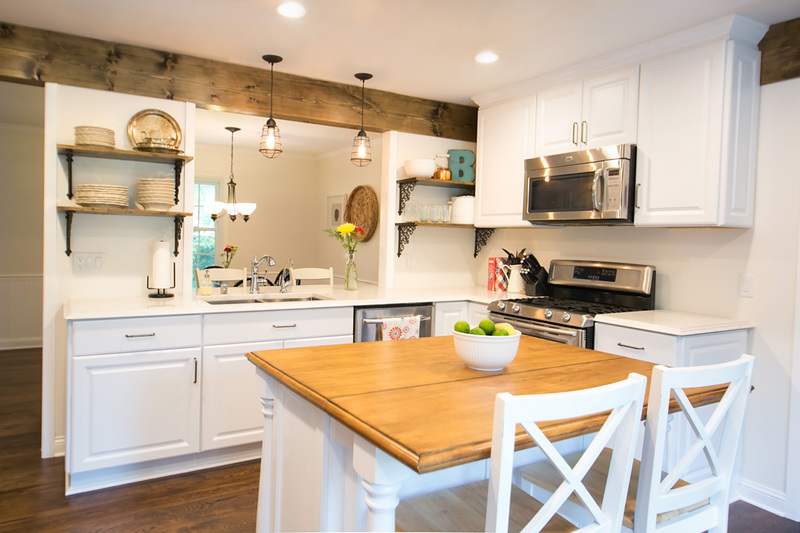 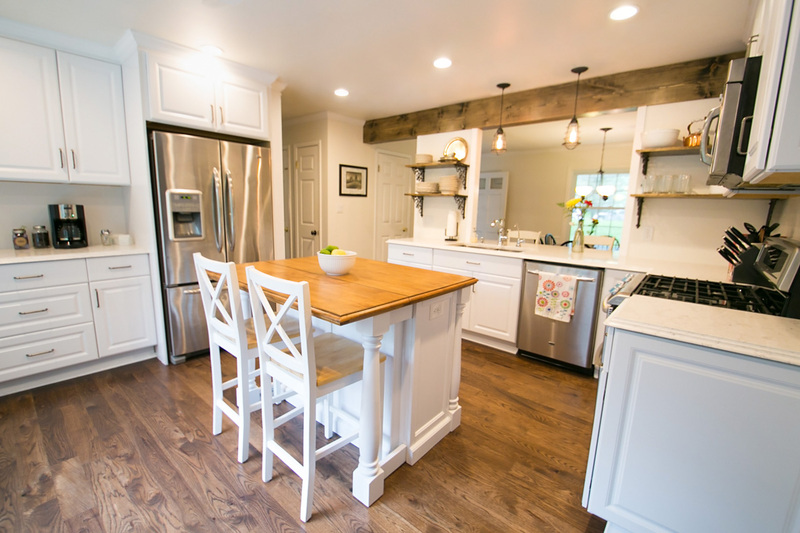 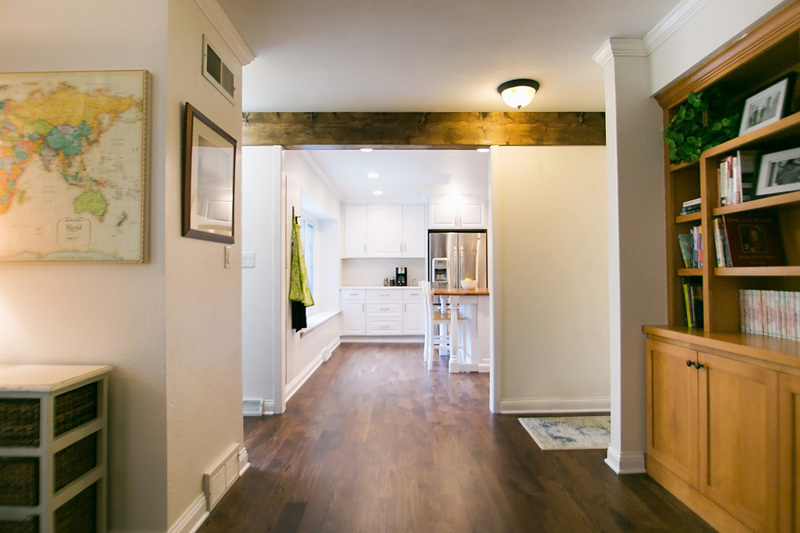 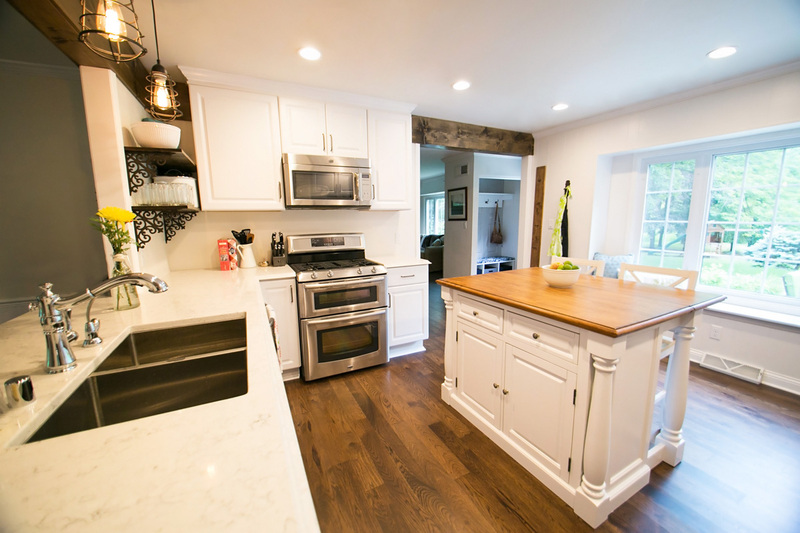 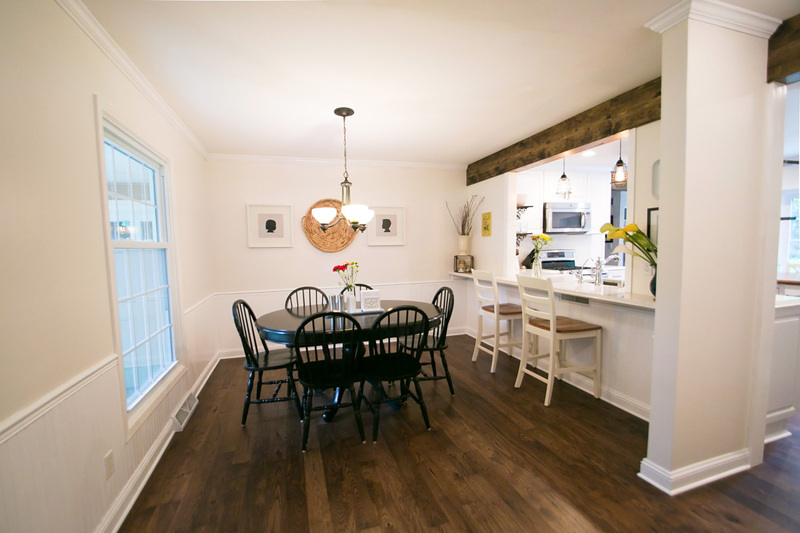 After a few weeks of email and phone communications, we were able to provide them a open-concept kitchen, dining, and family room by removing walls while applying a rustic faux-beam to hide headers for supporting walls. 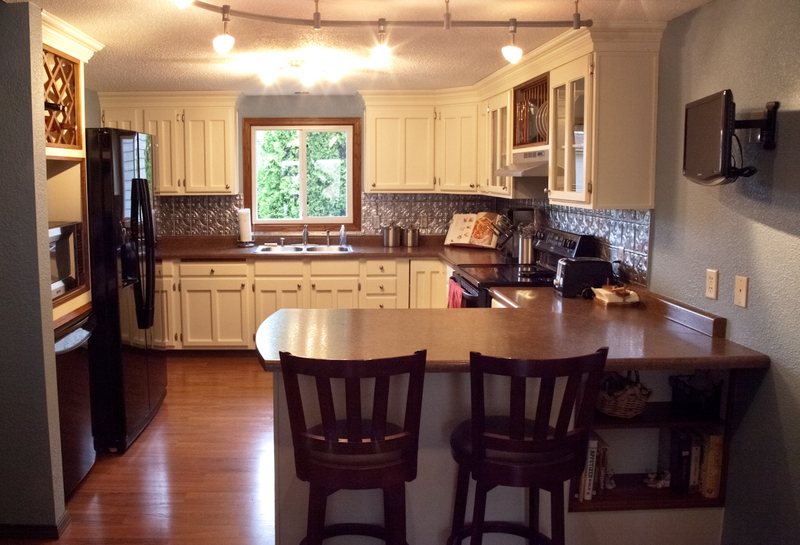 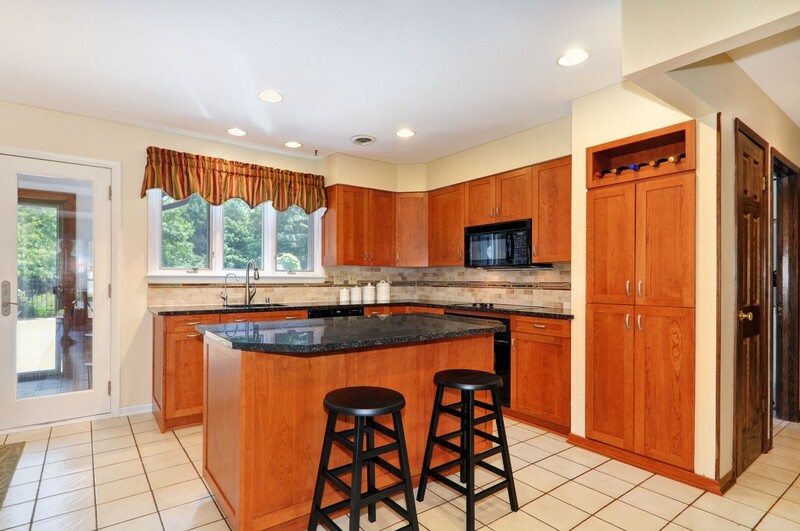 Matching shelves mix with new cabinets trimmed with crown molding, marble countertops with under mount sink, site-built refrigerator enclosure with shelving on the side, and recessed lighting. 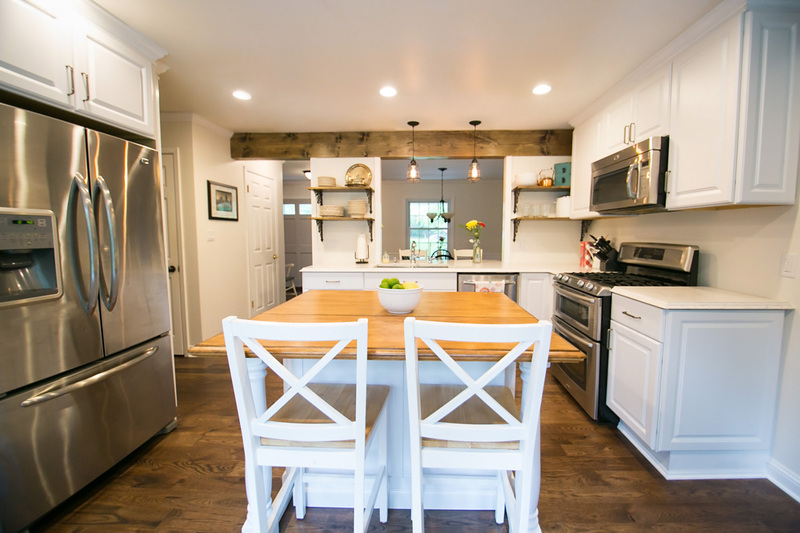 The dining area integrates with the kitchen by extending the countertops into the dining room to provide additional seating and serving station for entertaining.